1. Manager (Finance & Accounts) - M.Com preferably with C.A. Intermediate + Minimum 5 years experience at the level of Deputy Manager (F&A) in other PSUs/Govt. Deptt. with knowledge of Tally accounting and Income Tax matters and conversant with all State Govt./State PSU rules, expertise in Company matters, Corporate law and statutory provisions. 2. Internal Auditors - M.Com with Advance Accountancy and Auditing in B. Com course + M.Com with Advance Accountancy and Auditing in B. Com course Minimum 5 years experience in the field of accounts and audit in Govt./PSU/ reputed private accounting firm. 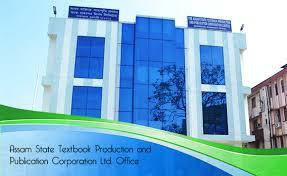 Proficiency in Tally and working in computerized accounting environment is must and conversant with all State Govt./State PSU rules, expertise in Company matters, Corporate law and statutory provisions. 3. Accountant - Commerce Graduate. Preferably Major in Accountancy + Minimum 5 years experience in the field of accountancy in Govt. Dept./PSUs/reputed private accounting firms. Proficiency in working in computerized accounting environment is must. 4. Manager Production - Degree in printing technology from Govt. recognised University/ institution + Minimum 10 years experience in the field of printing in Govt./PSU/reputed private sector. Knowledge of Tally and working in computerized environment will be preferred. 5. Assistant Manager Production - Degree/Diploma in printing technology from Govt. recognised University/ institution. + Minimum 3 years experience in the field of printing in Govt./PSU/reputed private sector. Knowledge of Tally and working in computerized environment will be preferred. 6. Manager Commercial - M.Com. Diploma in logistic management is preferable + Minimum 5 years experience in the field of storage and marketing in Govt./ PSU/ reputed private sector organization as Deputy Manager. Knowledge of working in Computerized environment will be preferred.